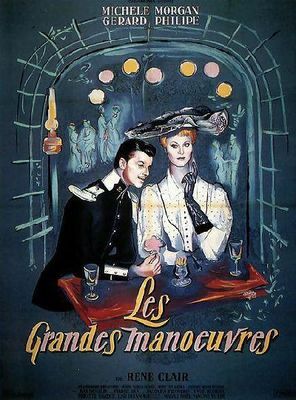 The film club UTAM is organizing a screening of the film "THE GREAT MANOEUVRES" by René Clair (1955) with Gérard Philipe, Michèle Morgan, Yves Robert, Jean Desailly, and Brigitte Bardot Thursday, April 18, 2019 at 15h at the Old College. Duration: 107 minutes. In a garrison city, a lieutenant Don Juan bet with his comrades that he will seduce a beautiful milliner, divorced, that is also courting a bourgeois of the city. He succeeds and falls in love with her. This film, one of the great successes of the 50s, has not aged a bit. Everything is great: the screenplay, the music, the sets and costumes, a dazzling cast, with stars, Gérard Philipe and Michèle Morgan, but also supporting roles. Entertainment cinema with this perfection that can be called "quality France". The film will be presented by Henri Guieysse of the Montauban Cinéphiles Club. Admission: free for members of the UTAM 4 € for non-members (membership in the film club for a session).